WTF body kit is this!! ESPECIALLY, what WING is this? I cannot find those wheels anywhere, either......they're sweet! Ahhh....I was hoping at least the wing was real. 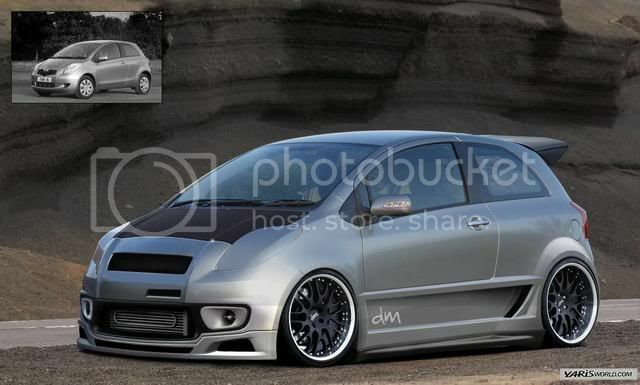 WOW.... did they realy make a Yaris in a 5 bolt? But really that kit would be so DAM HOT!! !